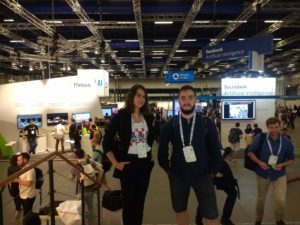 The International Conference on Machine Learning (ICML) 2018 was held July 10–15 in Stockholm, Sweden. ICML is the leading international machine learning conference and is supported by the International Machine Learning Society (IMLS). The International Machine Learning Society is a non-profit organisation whose main aim is to foster machine learning research and whose main activity is the coordination of the annual International Conference on Machine Learning (ICML). At the conference, two papers shared top honours. Researchers Anish Athalye of MIT and Nicholas Carlini and David Wagner of UC Berkeley’s Obfuscated Gradients Give a False Sense of Security: Circumventing Defenses to Adversarial Examples; and Delayed Impact of Fair Machine Learning, from a UC Berkeley research group led by Lydia T. Liu and Sarah Dean. The Best Paper Runner Up Awards go to Near Optimal Frequent Directions for Sketching Dense and Sparse Matrices, from Professor Zengfeng Huang of Fudan University; The Mechanics of n-Player Differentiable Games from DeepMind and University of Oxford’s David Balduzzi and Sebastien Racaiere, James Martens, Jakob Foerster, Karl Tuyls and Thore Graepel; and Fairness Without Demographics in Repeated Loss Minimization, from a Stanford research group including Tatsunori B. Hashimoto, Megha Srivastava, Hongseok Namkoong, and Percy Liang. Members of our Research & Development team, Atina and Mladen, attended the conference and expanded their knowledge and skill set which they will apply in their day-to-day work. For detailed information about Best Paper Awards at ICML 2018, see here.